Robert E. Dietrich, CRE, is the National Practice Leader for the Specialty Valuation Practice Group at Colliers International Valuation & Advisory Services, located in Los Angeles. Mr. Dietrich has performed valuations involving a wide variety of property types ranging from high rise offices to farms and ranches. He has valued special purpose properties such as port facilities, ski resorts, and others. He has also done work in the area of water rights. Areas of specialization include planned developments, subdivisions, leasehold/leased fee analyses, and project modeling. He has been in the advisory business in the Western United States for more than 40 years. Driving through my neighborhood in Southern California, I see a different landscape than when I moved in a little more than a year ago. In my gated community, there once was an almost cult-like grooming of yards with massive green carpets of grass. The homeowners’ association gave out tickets to residents outside the cult who allowed grass to be less than perfectly coiffed. Now I see the same houses with thousands of square feet of dead grass, exposed dirt, dying shrubs, and, in some cases, artificial grass. What is causing these changes? Will the West run out of water? Are changes needed in regulations? How will they be implemented? These are some of the questions that are being discussed in California and the Western U.S. In this article, I will address the issues involved in the water situation, and provide some insight on how the water problem will be resolved. Background — Where Are We? Through the end of 2016, California was in the fifth year of one of the worst droughts in state history. Even though the drought officially ended in early 2017, the long drought exposed a number of weaknesses in the State’s management of its water supplies. The extended drought and record heat caused the state and local governments to react with new laws, regulations and policies regarding management and allocation of water. Shortly after the drought was recognized in January 2014, the state declared a drought emergency. That declaration called for local water agencies to implement water shortage contingency plans. These statewide regulations included limiting landscape irrigation to three days per week along with additional restrictions such as the hours of the day when irrigation can take place. In early 2016, the state returned setting conservation goals to local control. The State recognized the water conservation goals were being achieved. Most municipalities have implemented the state’s mandate as a minimum, with some communities reaching further to curb water use. In Northern California, the drought was especially harsh on small towns that historically depend on flowing streams or shallow groundwater. One interesting case is the town of Paskenta which ran out of water in 2014. It then reached an agreement to buy water from the town of Corning, which is 20 miles away. Starting in August 2015, water was trucked from Corning with water users in the Paskenta Community Services District being limited to 100 gallons per day. While a wet winter provided the community with much needed water, the agreement with Corning was renewed again in 2016. Many communities saw severe impacts from the drought due to declining local supplies. However, most of the large urban areas of the west (Los Angeles, San Francisco, San Diego, and Phoenix) are served by a number of complex water delivery systems. While there is use of groundwater in each urban area, surface water imports are a major water source. MWD imports about 45 percent of the water for Southern California. One source is the Colorado River via the CRA. Another source is the State Water Project (“SWP”) which delivers water from the Sacramento and San Joaquin Rivers in Northern California. Additional water includes local surface water, groundwater, recharge, and limited other resources. When the Colorado River Compact became law in 1922, 7.5 million acre-feet5 of water were allocated to the Lower Basin states, including 4.4 million acre-feet to California.6 That allocation was based on historic data showing that the annual river flow was 16.4 million acre-feet per year.7 In actuality, the average flow was much lower. The law that allocated Colorado River water created an issue of over-allocation of the river from the very beginning. While the Colorado River is seeing reduced supply, the SWP also experienced declines over the last few years due to the extended drought. In addition, diversion of water for maintenance of endangered species have reduced water supplies significantly to farms in the Central Valley. In response, farmers are using pumped groundwater to make up the shortfall in SWP deliveries. This has caused sharp declines in the water table in some areas of the Central Valley. The drop has caused many farmers to drill new and deeper wells, but the mining of groundwater creates other problems. A cure for the Central Valley water shortage would be to take productive farmland out of production. However, the Central Valley is one of the most important sources of food production for the US. According to the USGS, “Using fewer than 1 percent of U.S. farmland, the Central Valley supplies 8 percent of U.S. agricultural output (by value) and produces 1/4 of the nation’s food, including 40 percent of the nation’s fruits, nuts, and other table foods.”10 A simple cutback in food production would not be the answer as rising food prices would cause as much pain to the U.S. economy as the water shortage. To avoid a catastrophic decline in groundwater, government intervention will be required in most cases. To avoid similar problems, the Arizona legislature created and passed the Groundwater Management Act in 1980. The Act established Active Management Areas (“AMAs”) in major groundwater usage areas such as Phoenix, Tucson, Prescott, and Pinal County. The law established Irrigation Non-Expansion Areas (“INAs”) in more remote areas, like Douglas and the Sulphur Springs Valley in the southeastern corner of the state. This 1980 Groundwater Management Act resulted in the registration of all wells in Arizona, and required metering of water usage of non-exempt wells inside AMAs. The law also allowed fees to be charged for pumping groundwater in AMAs. Farmers were initially adamantly opposed to the new laws. However, the Carter Administration was withholding the start of the Central Arizona Project11 (“CAP”) until steps were taken to control the groundwater situation. Thus, the farmers were left with a decision to either continue depleting the groundwater supplies or submit to regulation with the benefit of a new source of surface water. Large Scale capital projects can be a major benefit to cure the current water ills in the state. However, other actions also can have a major impact. Conservation is a growing source of new supply in California, but an equally interesting potential source is to increase the efficiency of water delivery and application systems, especially in agriculture. The largest irrigation district in the nation is the Imperial Irrigation District (“IID”) located in the Imperial Valley of California, about 100 miles east of San Diego. San Diego has been experiencing a growing population and a shortage of new water supplies. In order to maintain its economy, about 25 years ago, San Diego began to look in other areas to find new water sources. The San Diego County Water Authority (“SDCWA”) first approached the IID about 20 years ago.12 The problems with large-scale water transfers were numerous and required some out-of-the-box thinking. However, a solution was developed and the transfer went into effect in 2003. The results were a new source of water for San Diego in the amount of 200,000 acre-feet annually, or enough water to serve more than 2.0 million people with nominal conservation efforts. At the same time, the water transfer amounted to less than 10 percent of the 3.1 million acre-foot allocation of Colorado River water to IID. The farmers of the IID were interested in some type of partial transfer. However, returning large amounts of land to fallow status would hurt the local communities of El Centro and Brawley, which depend on agriculture. In addition, along with the Yuma Valley nearby, the Imperial Valley is one of the major sources of winter vegetables in the U.S. So the question arose as to how to conduct the transfer without halting agriculture. The answer was to increase efficiency. The IID is also a drainage district. Due to soils with high levels of clay, most farms in the IID service area are improved with underground tiles that gather water as it percolates through the soil and drain it off the land.13 The IID operates a series of laterals, ditches, and canals that gather the water and drain it into the Salton Sea. Instead of allowing the water to drain off the land, a proposal was made to improve the efficiency of farming so that water was used more effectively. Rather than flood irrigating, farmers would use drip systems or other types of irrigation that would reduce water applied to the farmland. The saved water then could be sold to the SDCWA without impacting the local agricultural economy. Part of the transfer regulations allowed some land to be fallowed. In fact, most of the water transferred in the first 15 years of the plan are to be generated from fallowing land. Part of the reason is that it would take many years to upgrade irrigation system efficiencies. Part of the agreement involved transportation. Instead of developing a transmission system for the IID water, a deal was made with MWD to divert larger quantities of water upstream at Parker Dam to be delivered through the MWD system. Water transfers now account for about 100,000 acre-feet per year and should ramp up continually to the full allocation through the end of the decade. The net result is that SDCWA’s reliance on MWD water has dropped from 95 percent to 30 percent, although it still is dependent on the MWD delivery system. There are solutions to the water shortage that have been implemented in areas of California that are worthy of duplicating. Any solution needs to involve some degree of political action and regulation. California already is one of the most heavily regulated states in the country but, surprisingly, in a water-challenged state, water regulations, to a great degree, are based on laws and regulations first applied more than 100 years ago. In Southern California, groundwater has been used for agriculture and to support growing cities for more than a century. At the turn of the last century, there were large areas of Southern California that produced artesian wells. As pumping increased, the water table started to drop and these wells stopped flowing. The drop in the water table was, of course, a concern to municipalities serving the growing population. However, another problem emerged in the form of saltwater intrusion into wells from the Pacific Ocean. In order to stop the negative impacts of the groundwater pumping, Southern California water agencies, political entities, and the courts implemented three important measures: 1) adjudication of the basins, 2) installation of seawater barrier injection wells, and 3) the creation of Water Replenishment District of Southern California (“WRD”). The adjudication first took place in 1961 in the West Coast Basin, with the Central Basin adjudication being completed in 1965. The court set caps on groundwater withdrawal and created a water master plan for each basin in order to oversee use and the transfer of groundwater rights. Currently, all Southern California groundwater has been adjudicated and an active market exists for the sale and lease of groundwater rights. Most of the basins are at or near achieving a balanced yield where groundwater pumping is off-set by recharge (natural and man-made). In California, about half of the water used is for environmental purposes for maintaining eco-systems. Statewide, agriculture consumes more than 80 percent of the remaining water, and that figure jumps to more than 90 percent in the Central Valley. In order to address the groundwater overdraft problem state-wide, Central Valley farmers will need to be involved in the regulatory process. By 2040, all high- and medium-priority groundwater basins must achieve sustainability. Like the Arizona law, one of the appetizers to farmers was a state-approved $7.5 billion water bond. Proposition 1 required voter approval and was passed in November 2014. Part of the water bond measure included $2.7 billion for water storage projects, dams, and reservoirs, which would benefit farmers in the future. An unintended consequence of the passage of Proposition 1 was that farmers started drilling new wells at a record pace. In the San Juaquin Valley, nearly 2,500 new wells were drilled in 2015, substantially more than the long-term average of about 500 new wells per year. While drought was at the front of this drilling frenzy, many farmers felt it was necessary to establish a dependable supply now in order to avoid likely limits on new drilling with the new legislation. One important need for increasing supplies is urban users. Although only 10 percent of California’s water is used in urban areas, it is the urban users that are at the largest risk of impact from water shortages. The state has passed mandatory conservation measures and local authorities have gone beyond the minimum to transform water usage state-wide in urban areas. Turf replacement: MWD offered homeowners and businesses incentives that totaled more than $400 million for removal of turf. Other communities and water agencies have followed suit. Rebates: Many districts and communities offer rebates for installing low water use household fixtures, such as low-flow toilets and clothes washers. Sensors and sprinklers: In some areas, rebates are offered for rain sensors for landscape irrigation, with some communities offering free sprinkler nozzles to properly direct and control water for landscape irrigation. There are many problems with providing water for California and the West. The population is growing and the risk of drought is causing concern about future water supplies. As noted earlier, much of the water from the Colorado River, is under continued pressure from over-allocation and consumption at high rates for urban and rural users alike. Changes in the regulatory framework have occurred and are being phased in over a period of many years. Conservation efforts are showing results, and the population is changing its attitude toward water usage and conservation. 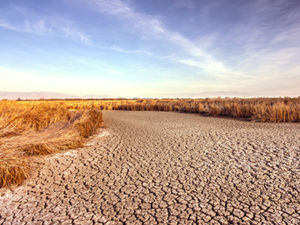 Actions by governments to regulate water use and encourage conservation have been successful in maintaining water for both agriculture and the growing population. Increased regulations will be phased in over time. In addition, new capital projects, coupled with increased farming efficiency and urban conservation, will lead to more dependable future supplies. While the outlook may appear dim from a perusal of headlines, the actual story is that government and users (farmers and urban dwellers) have been working toward solving the water problem and positive results are being seen. With continued movement in this positive direction, California and the West should be water secure through the end of the century and beyond.